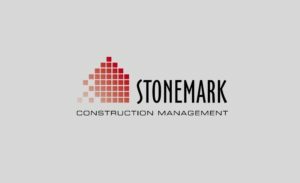 As an objective, experienced Owner’s Representative, Stonemark has earned the respect of clients as well as top architects, builders, attorneys and business managers throughout California by ensuring the successful delivery of complex projects in the last 20 years. Our portfolio includes high-value residential homes & estates, and high-value commercial projects in the entertainment, health care, creative office, sacred space and retail sectors.Stonemark construction management in California educates and leads owners through the challenges of design and construction while protecting their best interests first and foremost. We believe in controlling the cost, schedule and quality of fine architecture without sacrifice to the original vision of each project. Our communications and management expertise result in a positive construction experience and substantial client savings. We help our clients save time and money – and bring a harmonious approach to construction in the challenging environment of California. I reckoned the expense of having an Owner's Rep was about 4% of the total project cost, but it saved 10-15% in design and construction expenditures and in keeping the project on schedule. As a person who has never built a home before, I would have been overwhelmed with understanding the process and pitfalls without Stonemark.